Something called the Microsoft Zune 80 (wasn’t that an ABA team, the New Orleans Zune?) 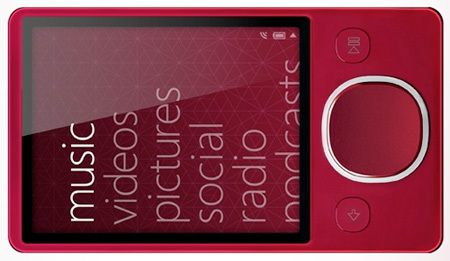 was released in the color red a few months ago, but you had to purchase it from the Zune Originals online store, which added tacky artwork to the backside. Seems now, however, you’ll be able to find it in normal retail stores.